Soccer Maths Times Tables Game app: insight & download. Welcome to SKIDOS! Let your 5-11 year olds enjoy our wide range of fun learning games. SKIDOS games including Street Soccer help kids master their mathematics skills and develop their interest in coding. You may subscribe to SKIDOS from within this app or you can log in to an existing account to get started. SKIDOS subscriptions are auto renewable with monthly & annual plans for 3 users. So, three kids of different age can learn and progress in their own individual learning style. Do you love football? If you do, this is the BEST street soccer game for you! 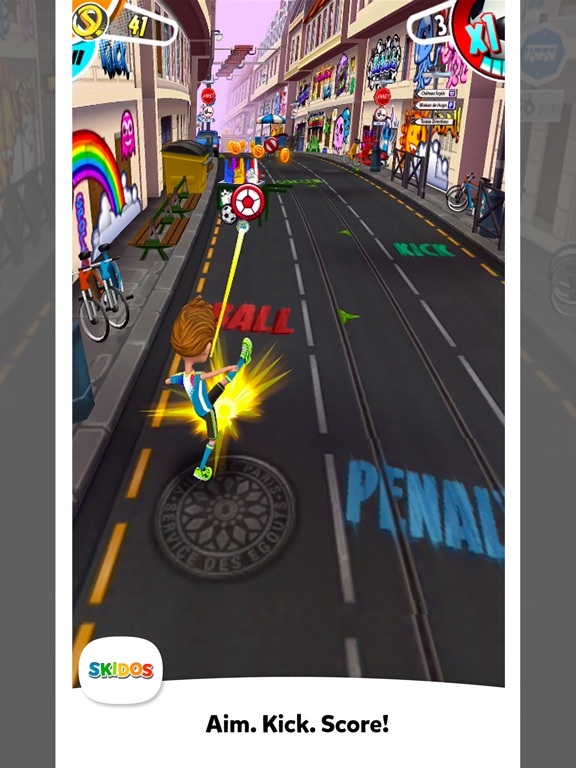 Get ready to run, feint and score on the streets of some of the world’s most iconic locations! Street Soccer is not only exciting to play, but it’s also great fun. The gameplay is easy to pickup and will give you hours of endless entertainment. Don't hesitate Aim, Kick and Score! - Payment will be charged to iTunes Account after any free trial period if applicable. 1 December 2018 : Free!